Columbia University researchers have identified the nerve cells that initiate a fly's escape response: that complex series of movements in which an animal senses, and quickly maneuvers away from, something harmful such as high heat. A pioneering international study, carried out by the University of Granada, Harvard University, the University of California, Los Angeles, the University of Florida, Laval University and the Jackson Laboratory has conducted an in-depth analysis of the molecular differences between the most common symptoms associated with neuropathic pain. Botulinum toxin A injections have a sustained beneficial effect in patients with neuropathic pain, shows a randomised trial. Chronic pain affects hundreds of millions of people worldwide and is a major cause of disability, causing more disability than cancer and heart disease. Canadian researchers, including Michael Salter at SickKids are shedding light on the molecular dynamics of chronic pain. They have uncovered a critical role for a class of cells present in the brain and spinal cord, called microglia, in pain. Pain typically has a clear cause-but not always. When a person touches something hot or bumps into a sharp object, it's no surprise that it hurts. But for people with certain chronic pain disorders, including fibromyalgia and phantom limb pain, a gentle caress can result in agony. Some people experience cold not only as feeling cold, but actually as a painful sensation. This applies even to fairly mild temperatures - anything below 20°C. Peripheral or central nerve injury often leads to neuropathic pain, a chronic condition that can manifest behaviorally as spontaneous pain, hyperalgesia and allodynia, and which also results in neurological dysfunction. For the 8th time the European Federation of IASP Chapters in cooperation with the pharmaceutical company Grünenthal Group announced the EFIC-Grünenthal-Grant (E-G-G) - a grant aimed to support young scientists at an early stage of their experimental projects on clinical and human volunteer-based pain research. Nearly 1 in 10 stroke patients suffer chronic and debilitating pain, typically described as sharp, stabbing or burning. It's called central poststroke pain syndrome (CPSP). It was first described more than 100 years ago, and it is treatable with medications and magnetic or electrical stimulation of the brain. Companionship has the potential to reduce pain linked to nerve damage, according to a new study. Chronic nerve pain results from pathological changes within a nerve that appear to be self-sustaining and thus the pain continues for a long time. MAP Pharmaceuticals, Inc. today announced that the Company will present data on LEVADEX (formerly MAP0004), an orally inhaled investigational drug for the acute treatment of migraine, at the 54th Annual Scientific Meeting of the American Headache Society (AHS) in Los Angeles, CA, June 21-24, 2012. Chronic neuropathic pain following a spinal cord injury is common and very difficult to treat, but a new therapeutic strategy requiring a one-time injection into the spinal column has potential to improve patient outcomes. A chemical component of the marijuana plant could prevent the onset of pain associated with drugs used in chemo therapy, particularly in breast cancer patients, according to researchers at Temple University's School of Pharmacy. 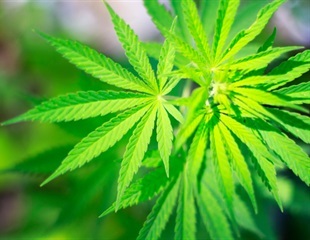 Cannabidiol—a compound derived from marijuana—may be a promising new treatment to prevent the development of painful neuropathy in patients receiving the chemotherapy drug paclitaxel, according to animal experiments reported in the October issue of Anesthesia & Analgesia, official journal of the International Anesthesia Research Society.